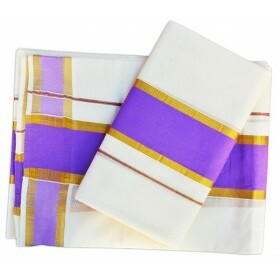 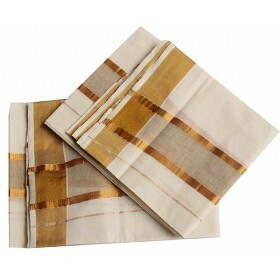 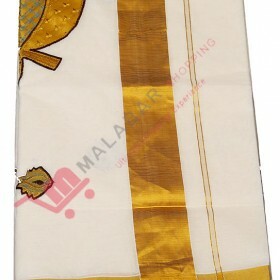 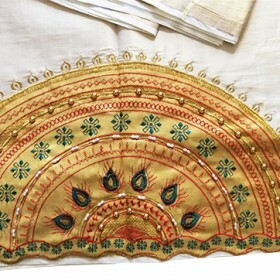 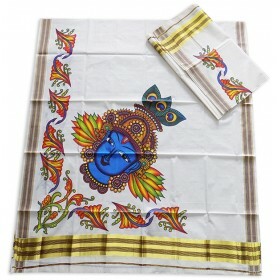 Ethnic kasavu settu mundu having off white color and border as peacock green along with golden which makes it more traditional. 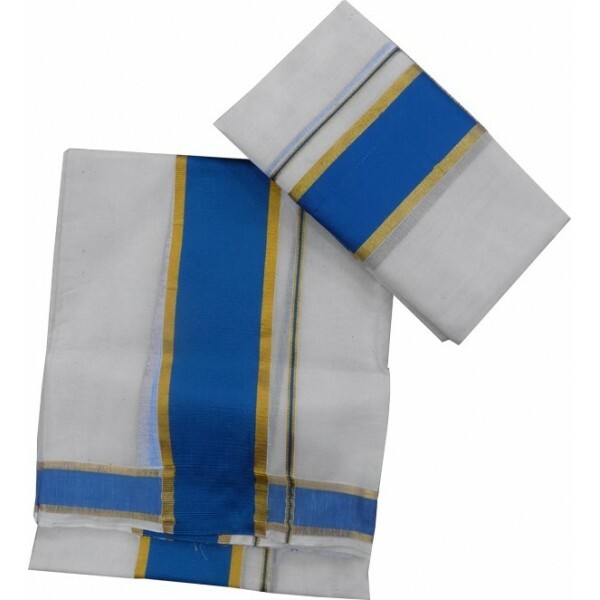 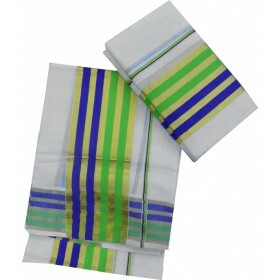 This is simple handloom cotton settu mundu having colored border horizontally and vertically. 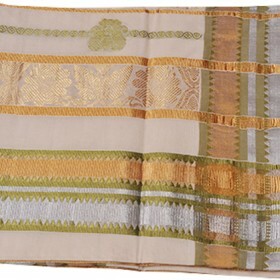 It can be used by any aged woman’s to make them more beauty. 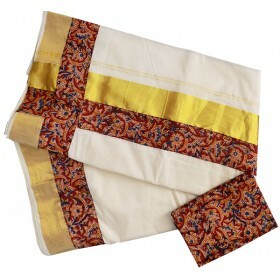 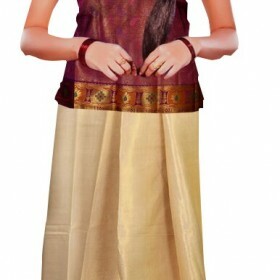 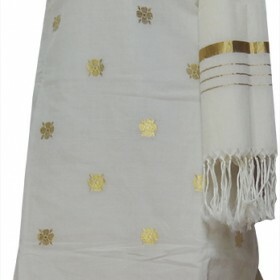 This can be used for any function as your favourite ethnic wear you have ever own.